A reminder that we will be holding our Club AGM on Wednesday 12th March 2014. 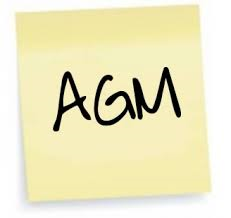 Click this link to view the minutes from last years AGM. There is however a change to the venue published on last year’s Annual Report. We are no longer using the RNLI HQ in Poole but have moved all meetings, including the AGM, to PHC (Poole Harbour Commissioners) Training Suite which is alongside the passenger ferry terminal in Poole. If you follow the road into the passenger terminal and turn left as if you were parking in the terminal car park, Suite 4b is situated on the left in the side road left immediately prior to the passenger terminal building. I will put, wind permitting!, signs up to direct you. Parking is available in the terminal car park. It would be helpful to have an indication of numbers attending for chairs etc so if I could please ask that you reply to honsec@rlss-poole.org.uk if you will be joining us.